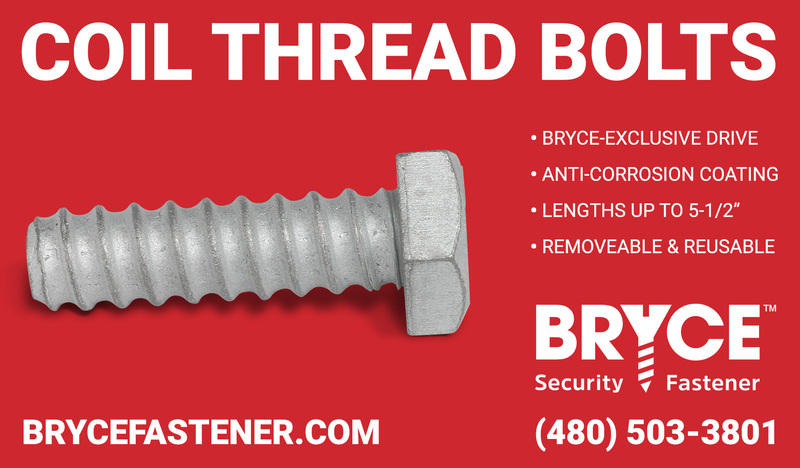 Need to secure items with coil thread bolts, with unparalled security? We make coil thread bolts with a variety of drive types, including our exclusive-to-you Key-Rex® drive, which means you're the only one who has the matching driver bit - so you're the only one who can access your items. Other options include Penta-Plus™ and STYKFIT®7 - high security, Bryce-exclusive drives. For lower-value items, we carry stock in standard-security ½-6 penta head coil bolts. They can be removed with locking pliers.